Louver shutters provide a timeless, inviting look for any home style. Their crisp angles and lines offer vertical and horizontal interest, adding colorful, contrasting texture for historically-inspired architectural designs to contemporary, unique new homes. Placing exterior vinyl shutters on your home is an affordable and efficient way to give your home a more finished look, while increasing its value. Our standard vinyl shutters are made from an injection molded process using a high quality vinyl great for exterior use. Our vinyl shutters included UV-additives that protect from fading and ensures our product is weather resistant, long lasting, and maintenance free. NOTE: Please order the "paintable" option if planning to paint. Warranty: 20 year manufacturers warranty - covers: cracking, splitting, warping & uneven or excessive fading. Staples to fix your tilt rod. Shutter pins to fix your vanes. makes installation fast and easy. Shutter Lok holds in any material: Vinyl, stucco, brick, fiber cement. Shutter Lok features a durable copolymer construction with molded through color so that there is no paint to ever scratch, flake, or fade. Installation requires drill with 1/4'' masonry bit. 12 per bag. 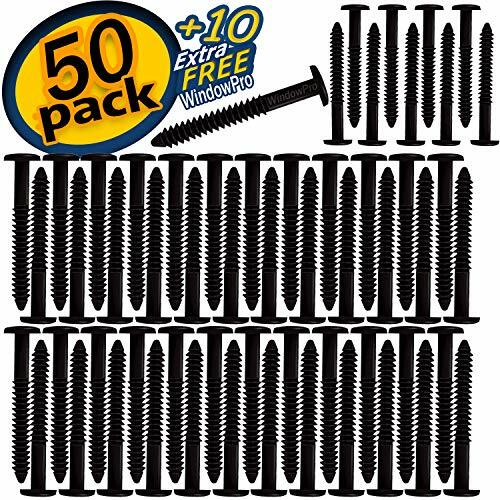 Made in U.S.A.
Our Black Shutter Pegs makes installation fast and easy. Shutter Lok holds in any material: Vinyl, stucco, brick, fiber cement. Shutter Lok features a durable copolymer construction with molded through color so that there is no paint to ever scratch, flake, or fade. Installation requires drill with 1/4'' masonry bit. 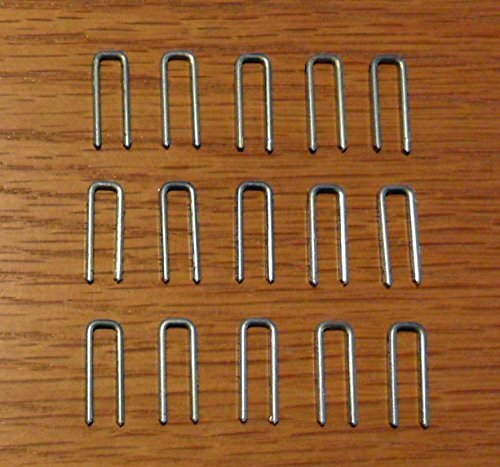 48 pegs per bag. Made in U.S.A. The classic look of our affordable shutter kit is sure to enhance the decor of any home or office. 1 1/4" inch slats give this shutter set an old time charm. Available in lengths up to 36" inches, this set is designed to cover half a window cafe style, or may be double hung to cover the whole window. 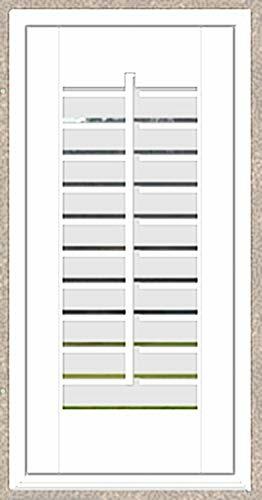 Our Shutter Kits come either in a White Paint or Oak Stain finish. Our 23" inch Wide Set comes with 2 panels all other Sets have 4 panels. 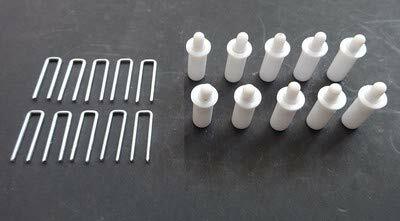 All our kits come with filler strips and all mounting hardware. 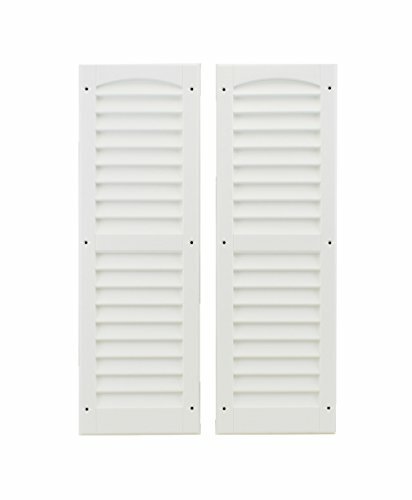 These DIY shutters may be mounted either inside or outside the window jamb. Filler Strips allow the Shutter Kits to fit a window up to 2" larger then stated width for an inside mount. 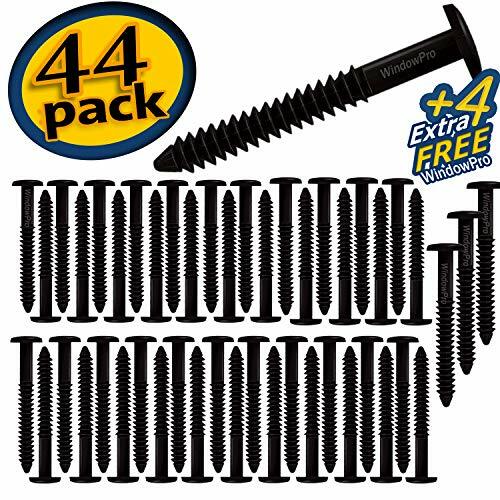 If mounting kit on outside of window jamb allow at least 2.5" inches for mounting screws. 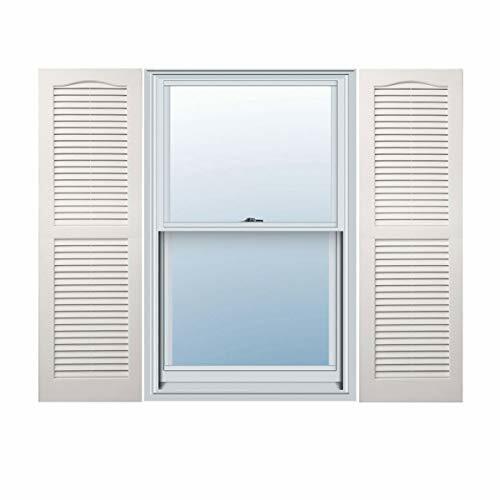 If your window width is 35" and you want to mount the shutter on the outside of the window jamb please select a width larger then 37.5". The overall Height of our Shutter Kit Panels can be adjusted by trimming the top and bottom rails. Our Traditional 1 1/4" DIY Shutter Kit Panels may be trimmed up to 3/4" inch on the top and 1 1/2" inches on the bottom. Our DIY Shutter kits are available in a wide range of widths and lengths these shutters are sure to add charm and character to any home. We usually ship this poduct within 5-10 busines days. If unexpectedly, a product is on back order, we may take longer to ship the product, however we will inform you as soon as possible. Product photo may or may not exactly match the product offered for sale. please refer to the specific product description. Please call if you have any questions or for further information as there is a 25% restock charge for returns. 23 inch Wide Sets comes with 2 panels all other Sets have 4 panels. 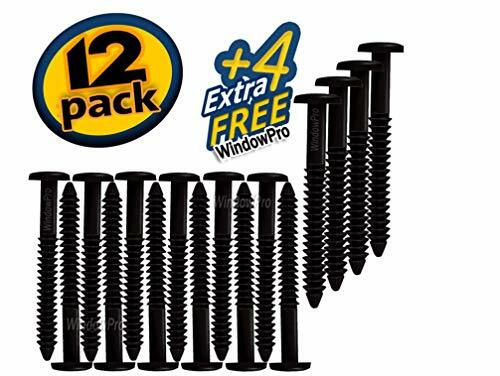 If mounting kit on outside of window jamb allow at least 2.5 inches for mounting screws. 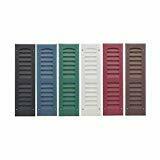 Manufactured in the USA, Polypropylene exterior shutters can bring style, charm and value to your home. 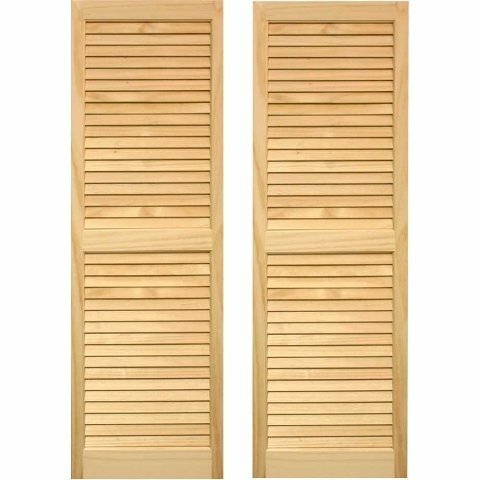 By choosing Alpha Systems' louvered or raised panel shutters you will be delivered a quality product that includes real wood appearance, molded through color and high performance co-polymer material. Replacing outdated or faded shutters with a new style or color can instantly enrich the appearance of your home. From curb appeal to backyard views, the Alpha Shutter completes the picture, beautifully. These Shutters Adds A Great Decorative Look To Any Shed Or Playhouse. Easy To Install, Care Free, We also Have Flower Boxes That Will Match. Check Out Our Other Shed & Playhouse Products. Shed Windows and More, Inc. , carries the largest selection of shed windows, shed hardware, shutters, skylights, vents, flower boxes, etc for all kinds of outdoor buildings, such as, sheds, playhouses, animal shelters and more. We also have a line of PVC double pane windows for tiny houses, bathrooms or any building were a small insulated window is needed. If you , do not see the item you need, please ask! Shed Windows and More might have it in stock, or have the ability to order it for you. Shed Windows and More your number 1 place for shed supplies and small windows. Dress up your windows with our high quality lifetime exterior vinyl shutters. 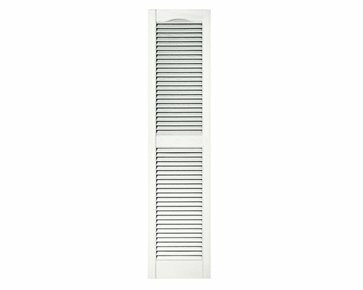 Our open Louver window shutter is the most popular shutter out there, and is available in a huge Collection of widths and lengths, ensuring you will find the perfect size for your home. The rails, stiles, louvers, and overall details give this shutter just the right amount of style to accent the exterior of your home. These shutters are made of durable vinyl, one of today's most versatile exterior materials. 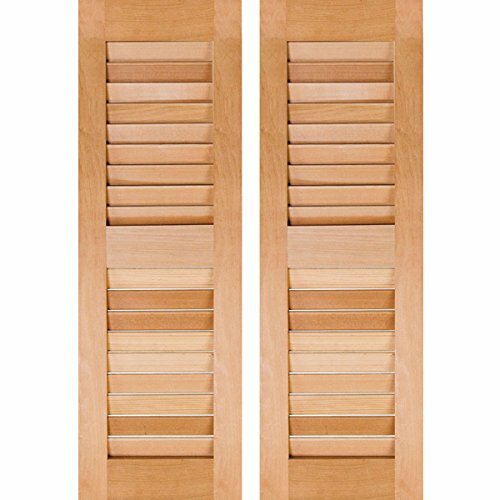 With a rich woodgrain molded into each pair, they are a great alternatives to traditional wooden shutters, providing the look of wood, without the possible upkeep. 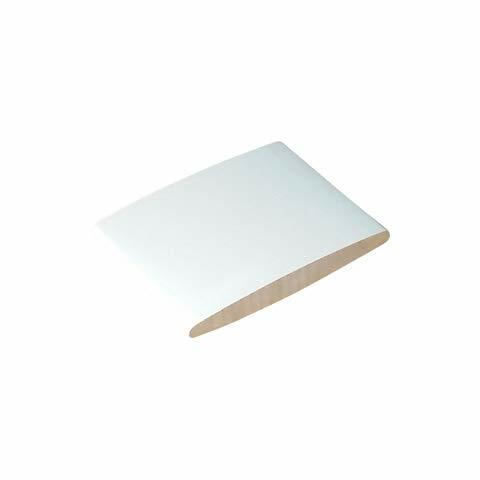 They are lightweight, easy to maintain, and resistant to water damage, warping and peeling. 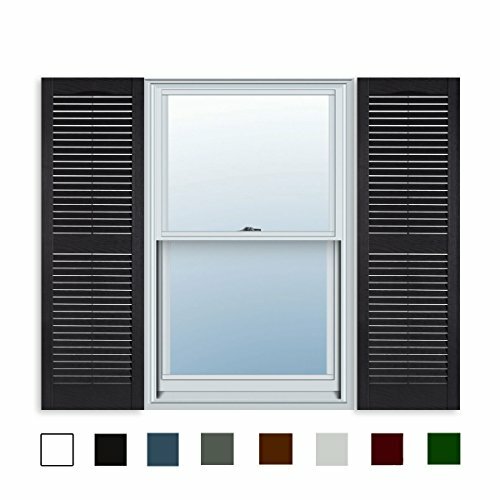 Our vinyl shutters are available in a full range of rich colors, and are one of the best value products you will ever purchase for your home. Handmade to your exact specifications, our wood shutters are perfect for applications that require historical accuracy. Our wood shutters can be used for both decorative and functional applications. With finished and unfinished options, you can be sure to find the right shutters for your home. 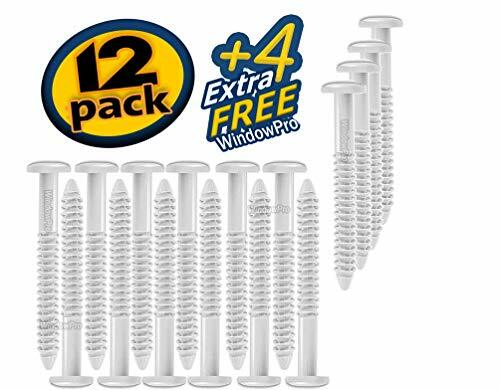 1/4 inch x 1 inch White Screw Thread Protectors fit 1/4 inch (1/4-20) screws and bolts. 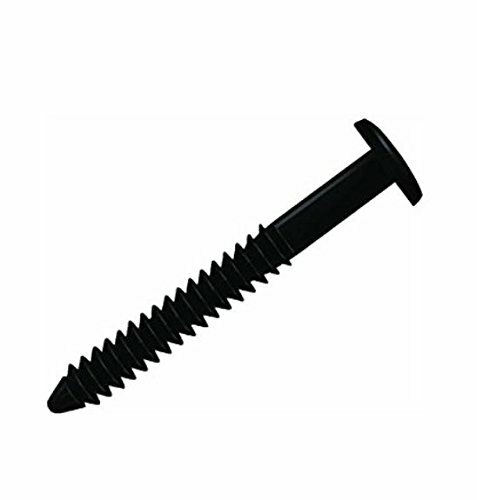 Simply slide over the threaded end of the screw or bolt. 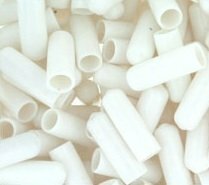 Functions as a Thread Protector, Mask (for painting), Insulator, Decorator, Seal or to Color Code. 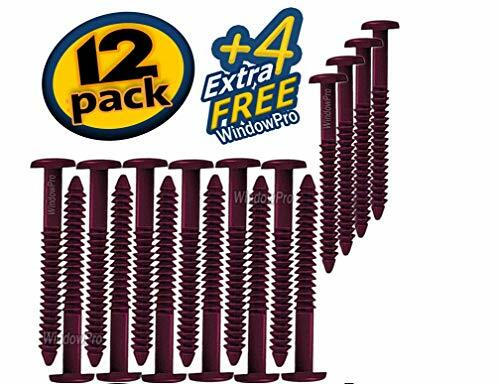 Ideal for Hurricane Shutters. Our natural wood shutters are constructed of clear, solid white pine. The heavier frame and quality, louvered construction uses no finger joins. Enjoy years and years of authentic, timeless beauty. 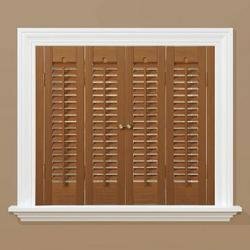 Shutters cannot be installed with operable decorative hardware. Installing shutters with operable hardware will void the warranty. Shutters must be installed as stated in the installation instructions. Save yourself time and money with these ready-to-use louvres. These pre-primed louvers are made from basswood material. 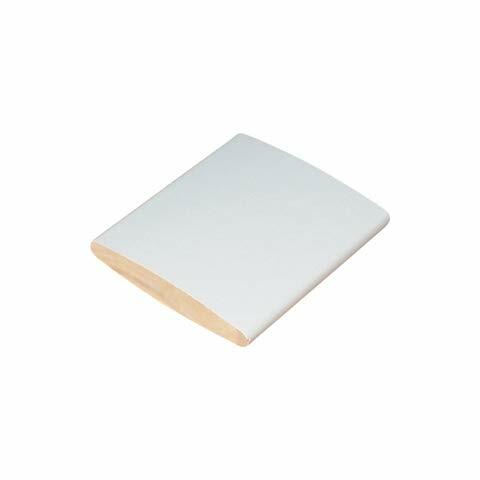 Smooth surface reduces the need for sanding. Elliptical shape for genuine shutter appearance. Easy to machine and finish. This pair of lightweight and sturdy stays is designed for medium to large Bahama or Bermuda shutters and made out of aluminum to avoid rust. This set comes with brass pins for attaching the rod to the brackets when the shutter is held open. 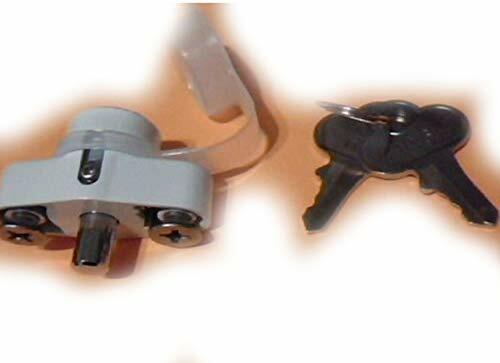 When the shutter is to be closed during a storm the rods can be removed and the brackets locked together to keep the shutter fastened. The bars can also be cut to smaller lengths if desired. 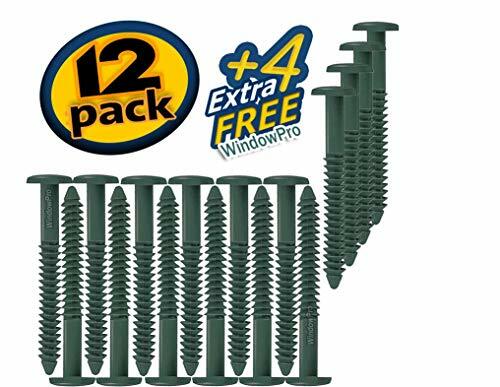 Optional sill mount brackets are included with this set. 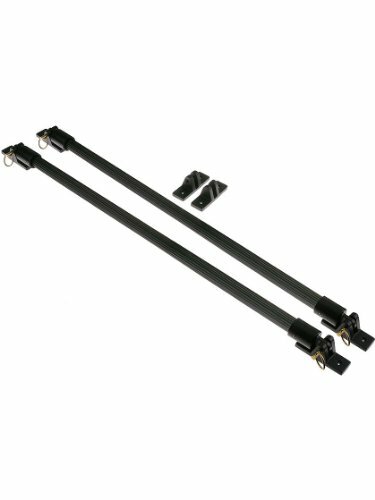 The stay rods measure 15/16" in diameter and the brackets are 3 9/16" long by 1 3/16" in width and project 1 1/2".